Akimichi Chouji and Nara Shikamaru from Naruto. That looks cool. Choji and Shika are true bestfriends. That was probably one of the most retarded things I've heard in a long time. sweet...i guess. im not really into dude love it just kinda sicks meh out. but this is a great picture. i commend you! awww! their so cute!! !one chouji is one my fav.characters list now! Great picture! 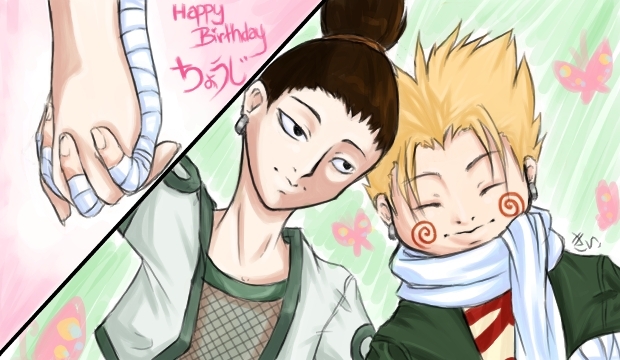 Shikamaru and Chouji look really sweet! Wonderul! ::favs:: Keep up the great work!